SimmonsField.com: SxSE: Where does Mizzou Baseball rank in the SEC? SxSE: Where does Mizzou Baseball rank in the SEC? Since MU's move to the SEC became official in July, we've been working our way through two series that look at this historic change from two sides of the same coin. South by Southeast: A Virtual Road Trip Through SEC Baseball took a look in detail at each of our new SEC rivals. 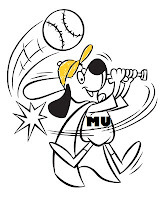 The SEC Fan's Guide to Mizzou Baseball has taken a detailed look at the new kid on the block, MU Baseball. Both of those series finished up this past week, and now it's time to combine the two by taking a shot at answering the question on the mind of everyone. Where does Mizzou Baseball rank in the SEC? 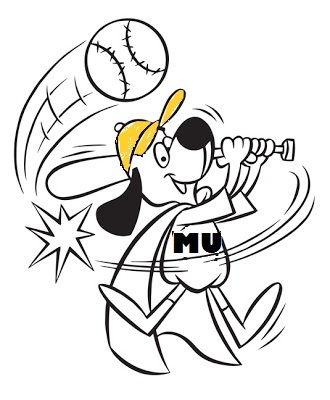 Much has been made of the superhuman feats of SEC Baseball and Mizzou's supposed role as the new 99 pound weakling in the neighborhood. The facts simply do not support that story line. The following rankings are based on the history posts for each team over the past several months, with my estimate of where each program stands. South Carolina has become not only a College World Series program, but a College World Series finals program over the past few years. Ray Tanner has developed this program to the point where a trip to the College World Series is expected annually, and the only surprise would be if they don't make it to the finals. Trending steady. Florida has clearly become a College World Series program, one that everyone expects to reach Omaha every year. They are not yet a CWS Finals program, like South Carolina. You have to wonder, though, whether they have the patience to stick with Kevin O'Sullivan if he keeps making it to Omaha without winning it all. Trending steady. Arkansas is currently a Super Regional baseball program. They have reached a level where most seasons they are expected to at least reach a Super Regional - and occasionally beyond. They made it to Omaha in 2012, but will have to prove they can maintain that level of success. Trending up. 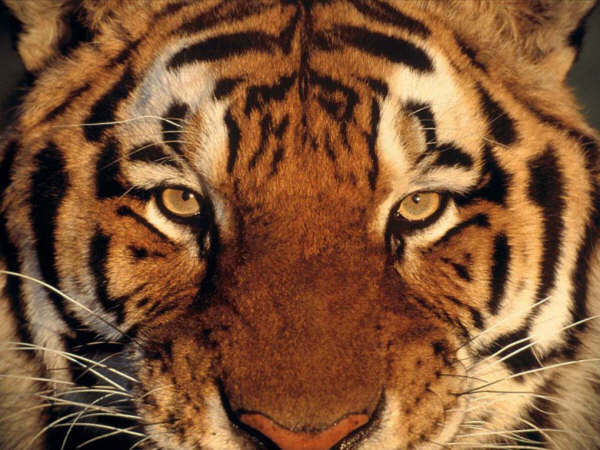 LSU baseball is currently a Super Regional program. They have the history and reputation to be expected to at least make it to a Super Regional each year. Paul Mainieri's challenge, after a short tenure that has swung from twice failing to reach the NCAA Regionals all the way up to winning the national championship, is to make sure the program stays at that level or moves up to a perennial CWS program, rather than falling back. Trending steady. Vanderbilt, after nearly a hundred years of futility on the diamond, has become a solid NCAA Regional program: They can be reasonably expected to go to a Regional each season, and could go beyond. As long as they continue to keep Tim Corbin happy, he could move them up to the level of a perennial Super Regional program or better. Trending up. Mississippi State has seen good success over the years. They are currently an NCAA Regional program. They can be expected to have a good shot at reaching the Regionals each year, and may go even farther. But there have been enough seasons in the past decade when they did not get into the tournament at all that they still have something to prove in terms of being a highly successful program. Trending up. Texas A&M is currently an NCAA Regional program. The program has shown can be expected to at least reach the NCAA Regionals each year, possibly farther. Their challenge is to maintain that level of success in the SEC, and improve upon it. Trending steady. Ole Miss is historically a good but underachieving program. Currently I would rank them as an NCAA Regional program. They can be expected to qualify for the Regionals nearly every year, but they can also be expected to usually not make it any farther. Trending steady. Georgia baseball has a history of frequent stretches of being highly competitive, with brief slumps mixed in. All of that success has resulted in only 1 College World Series championship, though. In the past decade, under Dave Perno, UGA has been an NCAA Regional team, one that is expected to reach the Regionals each year. Well, actually they can be counted on to reach a Regional about every other year. Trending uncertain. Alabama has been an NCAA Regional program in recent years. They can be expected to make the Regionals most years, but haven't proved themselves able to consistently move beyond. They faltered badly in 2012, though, and unless they right the ship, they risk falling into being a Conference Tournament team at best. Trending down. Kentucky has yet to prove that they are a reliable NCAA Tournament program. The 2012 season notwithstanding, they've been more of a hit-and-miss SEC Tournament program. Based on their success this past season, I'll tag them as an SEC Tournament program and we'll all cross our fingers that Gary Henderson can build on 2012 and keep the momentum going. Trending up. Auburn was once a solid NCAA Regional team, expected to reach the Regionals most years, and occasionally made it farther. But now they would have to be considered an SEC Tournament program. The next 2-3 will reveal whether they are in a short slump or on a downward slope. Trending uncertain. Tennessee, after a century of ups and downs and mostly squandered potential, have struggled with mediocrity over the past several years. They would, at this point, not even be considered an NCAA Regional team, but an SEC Tournament team at best. Hope is on the horizon, though, as the Vols have hired one of the top coaches in college baseball, Dave Serrano, who they hope can not just rebuild the program but take it to a level of consistent success Vols fans have never known. Trending uncertain. And where does Mizzou fit into that list? In the past 10 years, from 2003 through 2012, the Tigers have been to an NCAA Regional 8 of those years (7 consecutively, from 03-09). They advanced to a Super Regional once. Based on that record, Tim Jamieson's Missouri team could fairly be classified as an NCAA Tournament Team. Like Texas A&M, though, the challenge and the question is whether the Tigers can maintain that level and improve upon it now that they're playing in the SEC. But I'd say that at this point MU is Trending steady. That would slot Mizzou around 7th or 8th, along with A&M and Ole Miss. In the SEC East, that puts the Tigers 4th or 5th out of 7, acknowledging that Kentucky is riding a crest of talent right now, and Tennessee is making noise about moving up from the cellar. Even if you want to quibble with my rankings above (and I'm sure several will), raw numbers tell a similar story. The following ranking of the SEC teams in order of their average wins over the past 10 years supports the idea that MU comes in at 8th in the SEC overall, 4th in the SEC East. The nay-sayers will say (or neigh) that MU's 10-year W-L record didn't include them having to play a full SEC schedule each year. This goes to the whole question of just how superior the SEC is overall to the Big 12. While the SEC has had the clear advantage in the past 3 years, the two conferences have been quite close over the past decade. The truth will only be reconciled by playing the game, of course. Winning is what counts in the end. The numbers clearly say that Mizzou is not likely to be among the SEC leaders quite yet. But they won't be left in the dust, either.